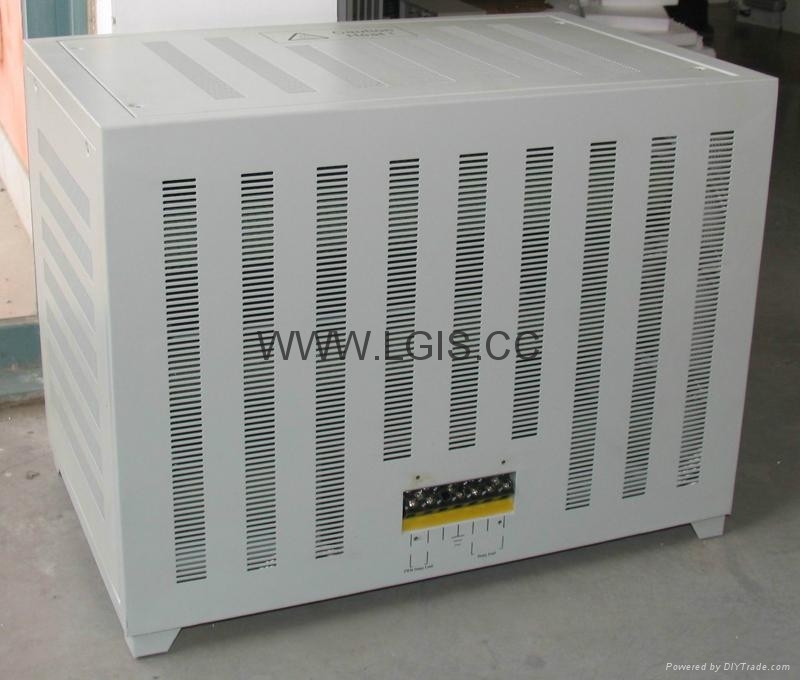 ◆PWM constant voltage control is 120% of the rated power of the wind turbine. In case exceeding of PWM’s capacity, the three-phase dump load will automatically start immediately to ensure safe running of the overall wind turbine system. 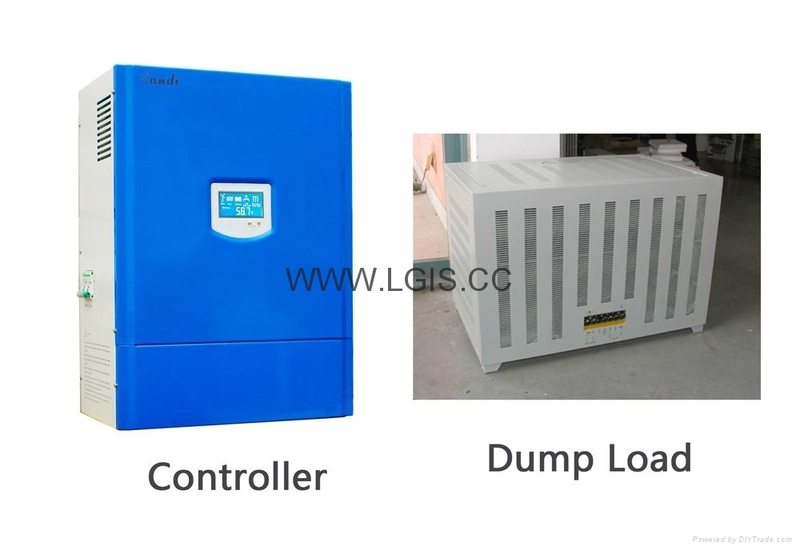 ◆When the battery disconnect or damage, the three-phase dump load will start automatically to avoid the wind turbine idling and runaway accident. 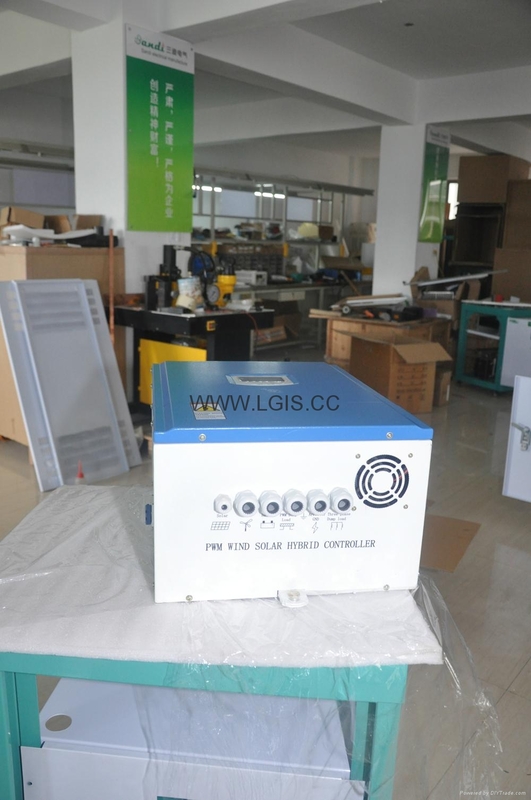 ◆When the strong or super-strong wind conditions PWM control to ensure battery charged by the wind turbine with constant voltage and current. 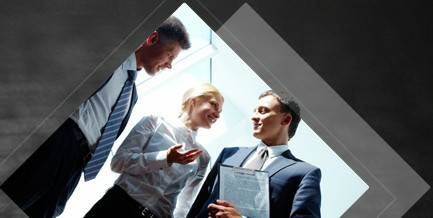 ◆The protection function of battery: polarity reverse protection, disconnection and damage protection. ◆Over-charging protection of the battery: When the battery is full (the battery voltage getting 125% of the rated voltage), the controller will carry out three-phase dump load automatically to stop charging the battery. ◆Auto recharging of battery: When the battery voltage reduces to 108% of the rated voltage,it stops three-phase dump load to recharge battery automatically. 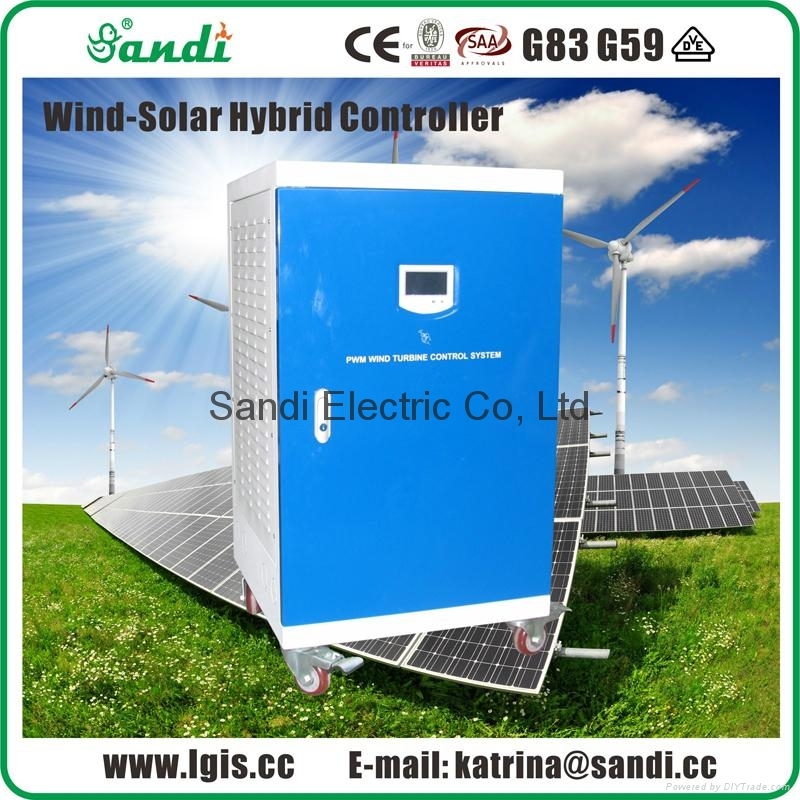 ◆For the different wind turbine type, the controller can be equipped with mechanical yawing, furled empennage, mechanical or hydraulic, pneumatic, electric magnetic and other brake functions. ◆The inside of the controller is equipped with surge arrester. Contain the over voltage into the wind turbine under the bearable voltage of the equipment or system. On the other way, to conduct the strong lightening current into the earth directly to avoid any damage of equipment.